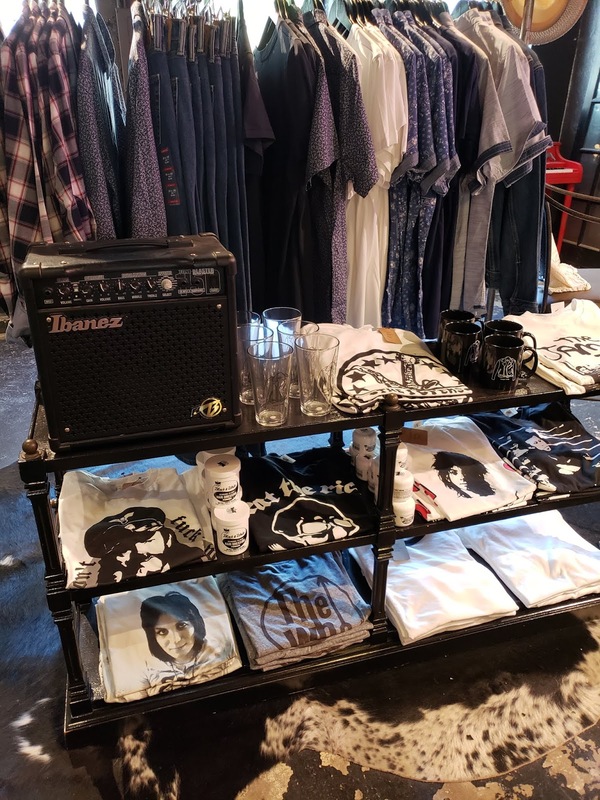 Metro Detroit has lots of great boutiques that cater to the feminine aesthetic. But, we have always been seriously lacking on great local spots for the gents out there to get their style on. 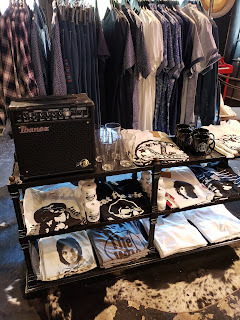 Thankfully, a new local store has opened its doors to cater to that demographic and they are doing it the right way. 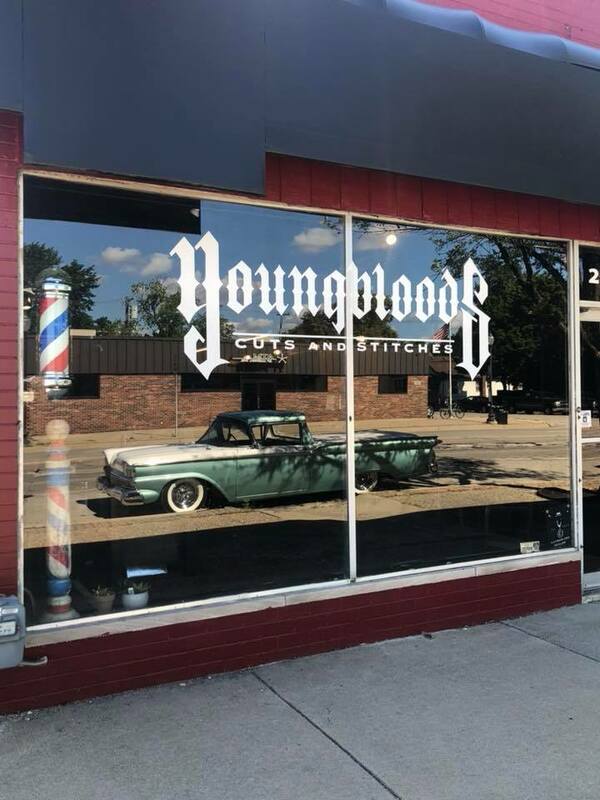 Youngbloods is a new men's clothing store and barber shop that recently opened its doors in Hazel Park. 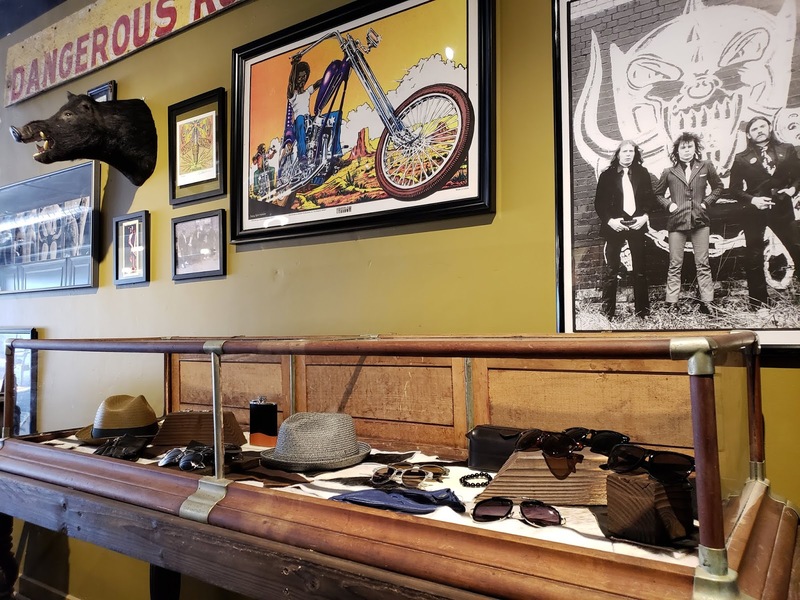 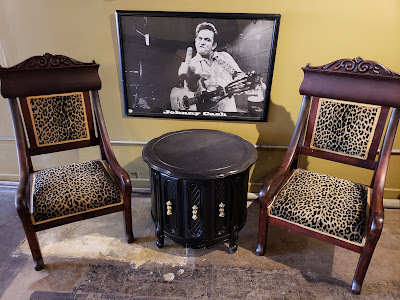 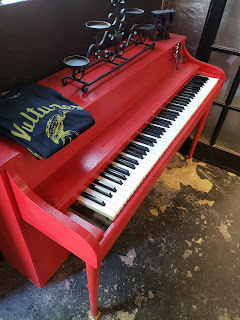 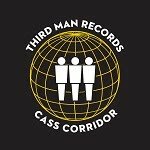 The large, finely decorated space celebrates the rock & roll lifestyle by offering its patrons a whole new way to approach style, self care, and grooming. 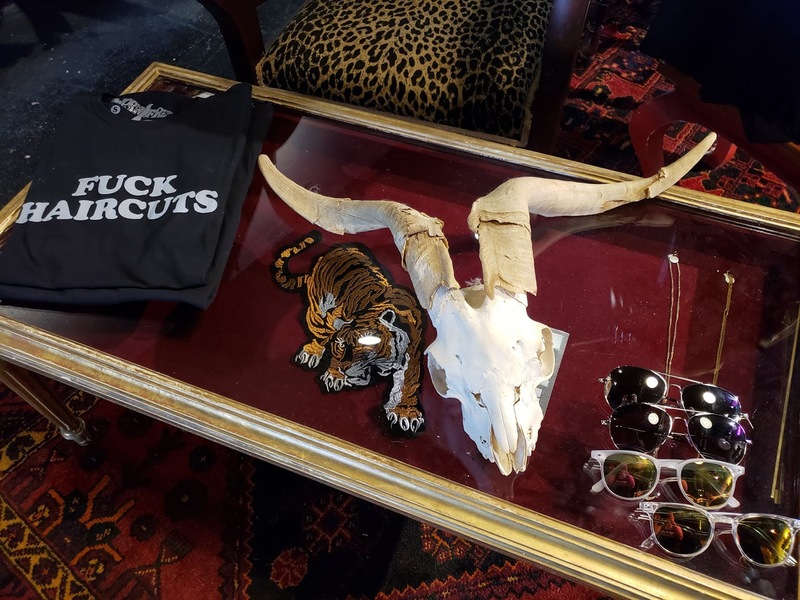 When you enter from the front, you walk into a big open room filled with barber chairs and places to sit and relax while you wait for your trim. 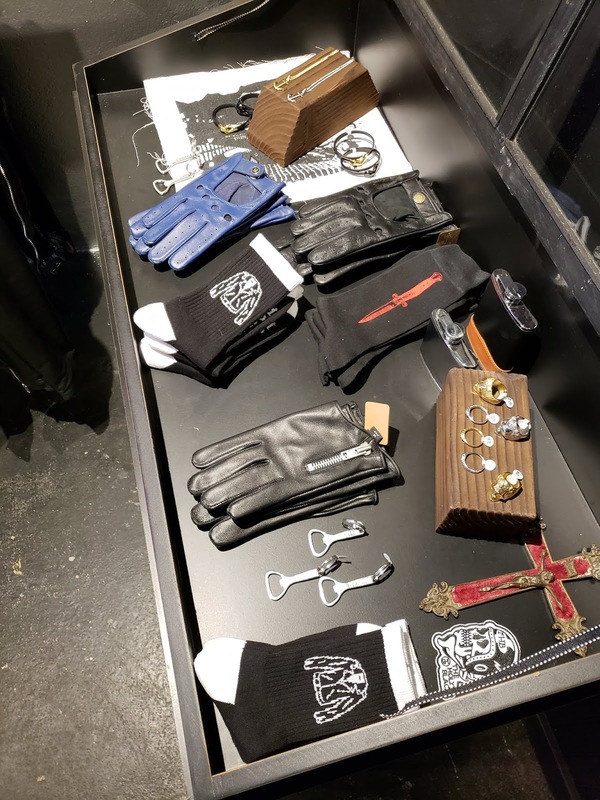 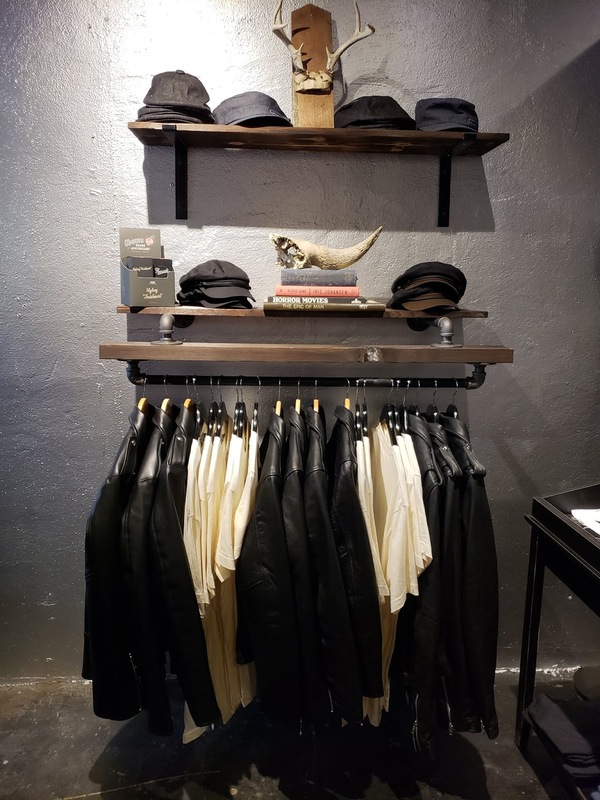 In the back of the store, you find a finely curated collection of some of the coolest jeans, shirts, jackets, hats, and accessories that anyone could ask for. 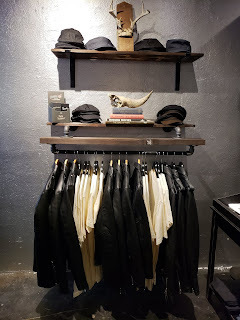 The store carries a variety of brands that we love, including Straight from Hell (they have the vegan leather jacket! 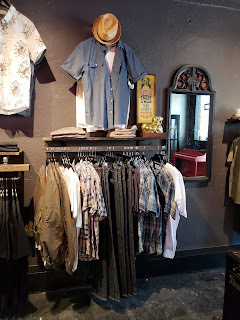 ), Alternative, and of course classic Levi's. 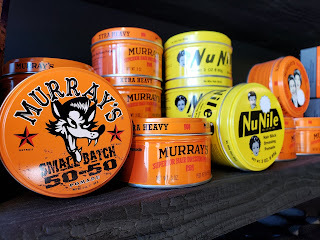 In the front of the store, they carry a wide variety of hair care products, including the full line of Murray's products and Black and White Hair Dressing, which was worn by Elvis, Johnny Cash and many other rock & roll greats! 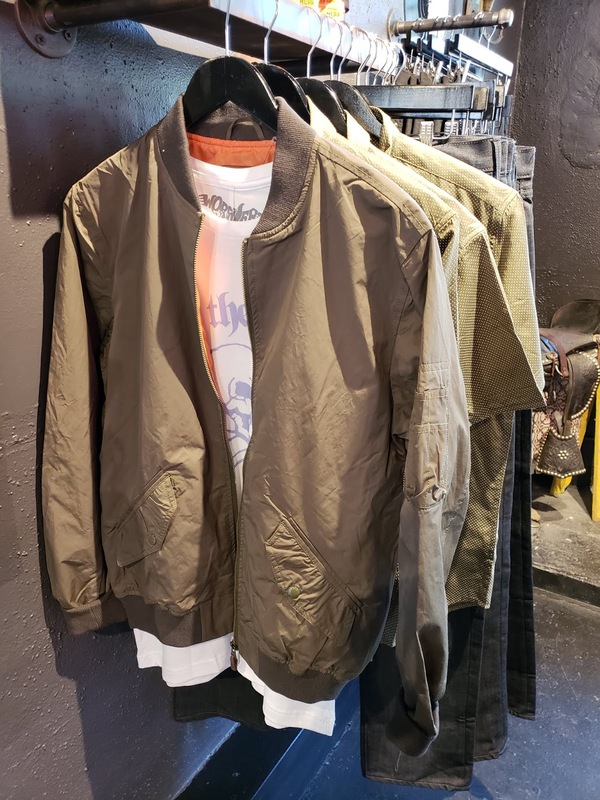 Youngbloods is edgy and classic at the same time! For now, they're open 5 days a week, Tuesday through Saturday, and Lyle is the sole stylist. 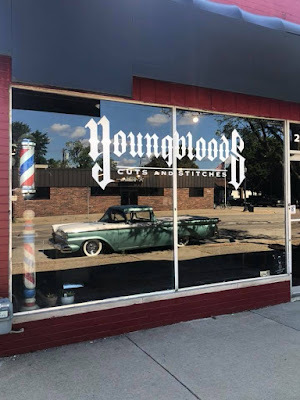 So you might want to call ahead if you need a haircut! You can follow the new shop online here to find out more about them as they grow and change. They will be bringing in some more barbers and more threads as time goes on, so make a plan to stop in soon and stop in often! 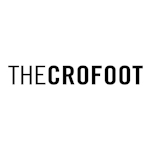 As I was walking down JR, I looked over to see a new business. 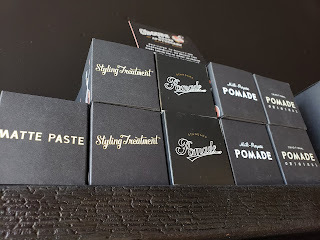 It's was a barber shop. I stepped inside to be welcomed by a friendly barber. I was very impressed with the decor and that they also sold young men's duds. 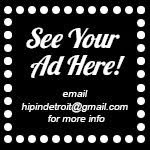 A great step up for the up and coming Hazel Park area.